Description: Kennewick Chiropractic Injury Clinic is a business categorized under missions, which is part of the larger category individual & family social services. Kennewick Chiropractic Injury Clinic is located at the address 4018 W Clearwater Ave Suite B in Kennewick, Washington 99336. 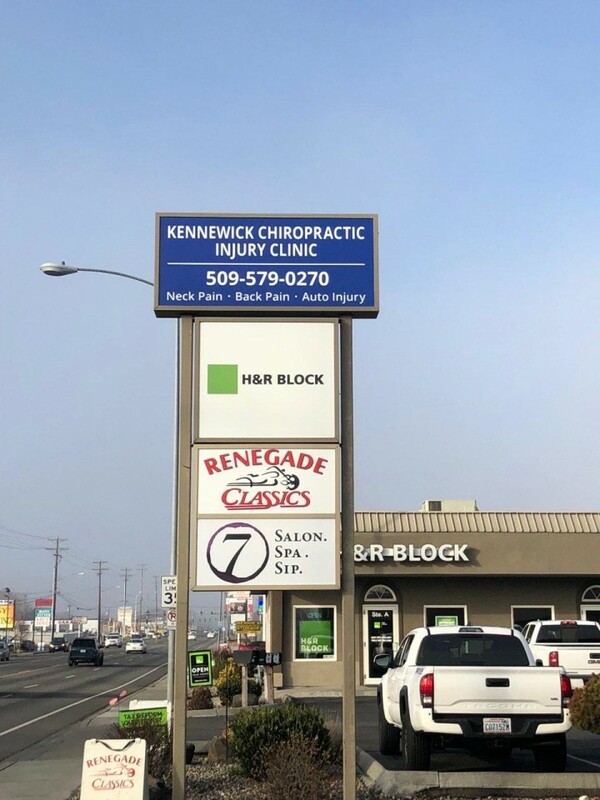 The Kennewick Chiropractic Injury Clinic is Kennewick Chiropractic who can be contacted at (509)596-1288.
Review: Chiropractic Office in Kennewick, WA. Three Rivers Chiropractic uses a comprehensive approach to improve health and wellness in all areas of our patient’s lives, whether they were just in an accident or are having problems with low back pain or neck pain. We provide a variety of treatment options and methods to help eradicate pain and stress from their lives. Location & access map for "Kennewick Chiropractic Injury Clinic"